Yes, this is Karl Marx. Yes, yes, he is indeed armwrestling a Rockefeller and both were the stars of an Avalon Hill board game’s box-art. 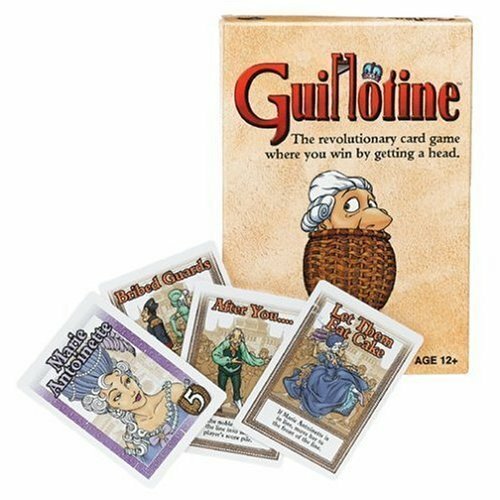 Not any board game’s of course, but a game’s created by New York University professor Bertell Ollman as a socialist alternative to Monopoly. Obviously in the 70s when such ideas were actually allowed (!). 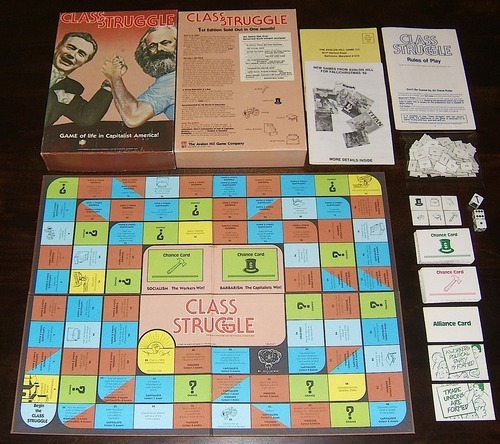 This infamous and nowadays obscure board game was (and still is) called Class Struggle. Class Struggle manages to combine marxist theory, excellent humor and sheer fun. Each player is randomly (as in real life) assigned as a class and races towards the center of the board (in a spiraling way) in order to win the final confrontation of the classes. Should the workers or their allies win, it’s socialism. Should the capitalists or their allies win, it’s not. The rules are simple, logical and you can check them out here, on Bertell Ollman’s NYU page. 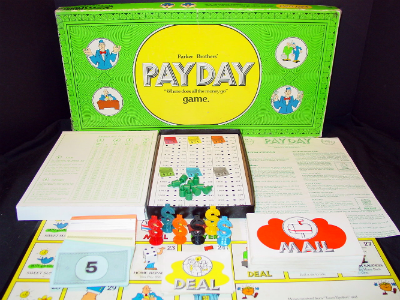 The one most interesting and enjoyable aspect of Class Struggle is the way in which real life is put inside the game mechanics. Here’s is an example of a worker’s Monopoly-styled chance card: ‘If you haven’t washed the dishes or made supper in the last week, move two spaces back’ (which is in game terms a bad thing). On the equivalent capitalist’s chance card you get told to move two spaces ahead (a good thing). Simple as that. Educating too.